The base legislation for the regulation of road traffic and vehicles. Amended that allows for traffic calming measures to be introduced. Introduction of the metric speed limits and special speed limits. The base legislation for the regulation of the construction and maintenance of public roads. The Traffic Management Guidelines, 2003 provides guidance on traffic management including some guidance regarding cycling. The forthcoming Irish Manual for Streets will also provide relevant advice on cycling. The National Cycle Manual, 2010, superseded Provision of Cycle Facilities – National Manual for Urban Areas, 1998. The obligation on cyclists to use cycle infrastructure where provided (SI 182/1997, S.14) was removed in October 2012 (SI 332/2012). 3. cycle tracks adjacent to certain bus lanes in which cycling is not permitted (variant of RUS058 showing bus symbol only must be used, with appropriate signage for the cycle track- see Traffic Signs Manual for more information on RUS058 and variants). 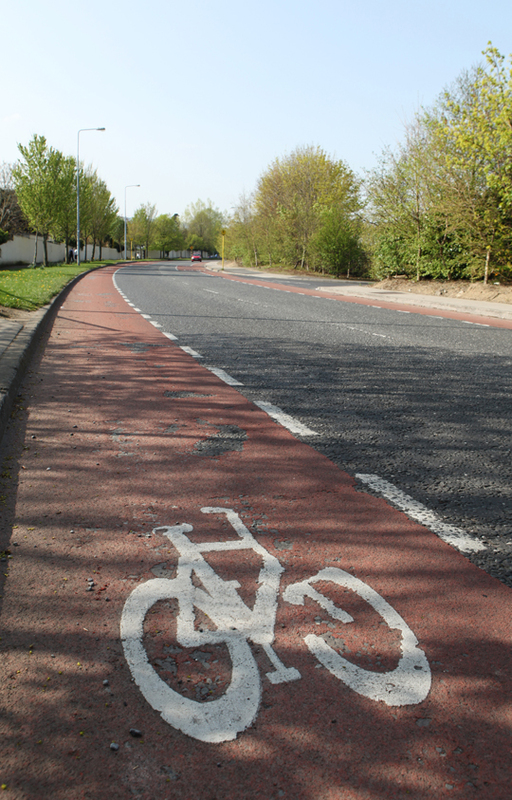 Aside from these three obligations, cyclists are permitted to use the main carriageway of all public roads (except motorways, from which cycling is precluded), even where dedicated cycle facilities have been provided. 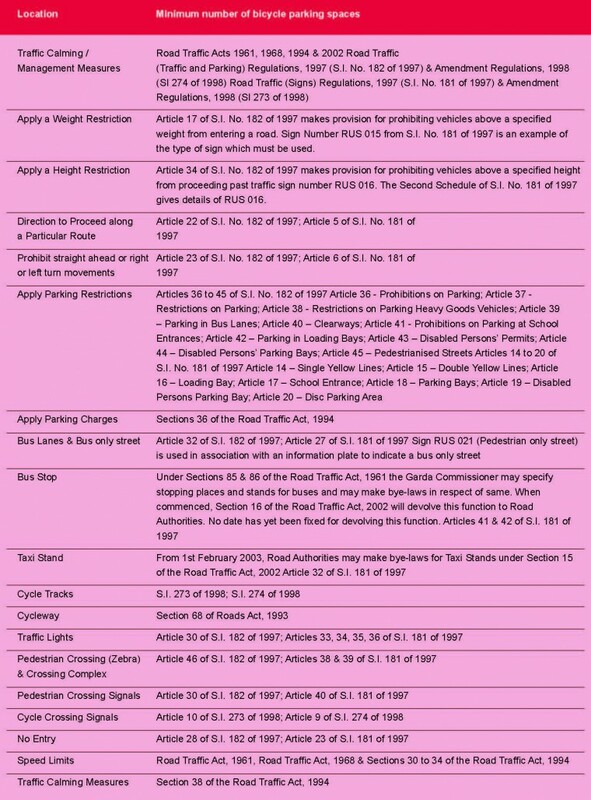 Current Regulations permit cyclists to use all bus lanes (including contra-flow bus lanes) and bus only streets, with the exception of certain bus lanes with adjacent cycle facilities as noted above. 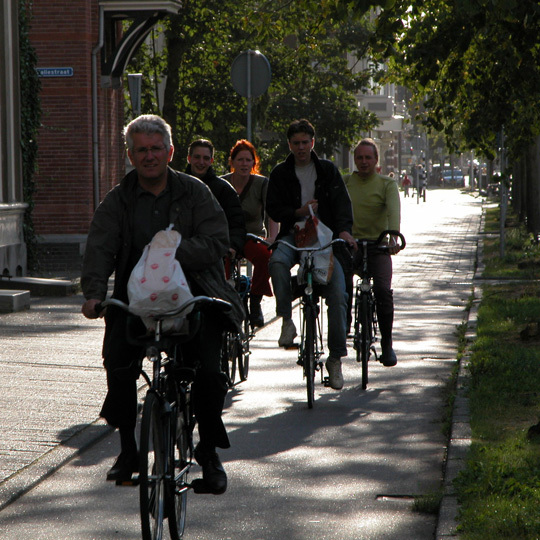 The preclusion of cyclists from bus only streets and contra-flow bus lanes was removed by SI 332/2012.